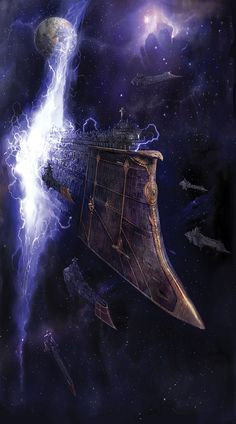 Rogue Trader George Larrinicus Davidoff, aboard his crusier The Emperor’s Undiminished Enthusiasm, is traveling through the warp en route to set up an ambush. 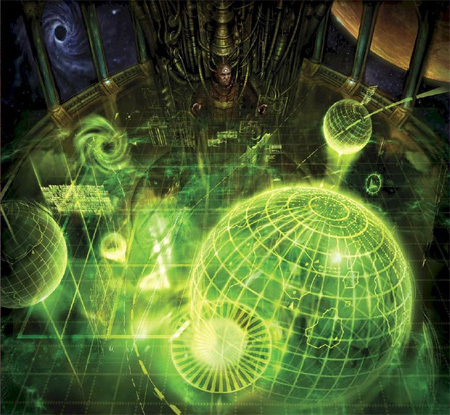 The plan is to intercept the aliens who attacked and destroyed Stygimatus Station and made off with the Adeptus Mechanicus’ experimental warp drives. A call has been placed to the Ultramarines seeking their aid, but there was no time to wait around for a reply. Captain Davidoff boldly ventures into the unknown of the Alenic Depths. Steve: You made some big moves at the end of the last adventure. Zack: Yeah, well, I was feeling pressured, OK? Zack: A lot of pressure. Zack: Can’t go to Oatworld because of virus bombings, can’t deliver guns from Gunworld because the Arbites were doing a guns for bikes programs, probably can’t even deliver plague from Plagueworld. Steve: Those wouldn’t make for very exciting games. Zack: Three words and a number: Euro Truck Simulator 3. It’s coming and you can’t stop it. Steve: Well, in this game, you decided to plunge The Emperor’s Undiminished Enthusiasm into a risky maneuver to try to catch the aliens making off with the experimental warp drives. Zack: Specifically to get in front of them and ambush them. Steve: Right, Sebastian, your navigator, has calculated where the alien ships are headed and if everything goes according to plan you are going beat them there by a day or so. Zack: Does it go according to plan? Steve: You cross the warp successfully, navigating through the empyrean and emerging into normal space. Zack: Who defines “normal” in this case? Normal to us? Sure. 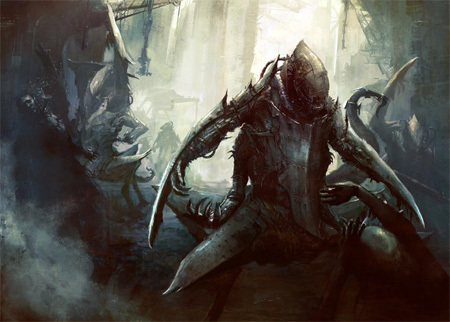 The howling chaos of the warp must seem day-to-day normal for the entities of violence, perversion, and madness that writhe in constant fury. Steve: The Emperor’s Undiminished Enthusiasm slips out of a rippling fissure in the fabric of space and returns to the darkness of the void. Steve: Immediately, information begins to flood in from your ship’s auger array. The ship’s strategium displays holographic images of a large, red sun and several rocky planets too close to the heat of this star to have an atmosphere. Zack: Not pompous enough. Let’s go with Davidoff’s Triumph. Good middle ground. Zack: Can we put it on screen? Steve: It is on the far side of the system from you, which is fortunate, because as an image finally appears, you see a massive, ugly station bristling with weapons. There are also several ships at dock. The designs are unfamiliar and crude looking. The sizes match a destroyer class, which would be totally outgunned by your cruiser. Zack: Can I tell if the station has seen us? Steve: It’s hard to tell. It seems like the ships might be powering up, but there is so much radiation around htem and the station that you can’t tell for certain. Zack: How much radiation are we talking? Steve: High and spiking higher by the moment. In fact, you see strange bursts of radiation that must be the main engines of the smaller ships firing up. They sort of pulse like they are exploding bombs out of their engines. Zack: Like Project Pluto! That was the rocket the US was going to use that would have dropped atomic bombs to provide thrust. Steve: That sounds cool as heck. Why didn’t they do it? Zack: Because it would have made everywhere in its flight path uninhabitable because of radiation and if it crashed, well, hoo boy! It’s a giant rocket full of armed atom bombs. Steve: Slight downside I guess. Zack: So are any of our weapons in range of this station? Steve: Only your long range torpedoes. You also have fighters and bombers but those will be slaughtered by that station. Steve: Klaxons sound throughout the ship as battle stations are sounded. It will take a few minutes to load your torpedoes. You can fire four torpedoes in a salvo and you have 20 plasma torpedoes and 8 melta torpedoes. Steve: Melta torpedoes do more damage and are more likely to score a critical hit. Zack: Load two and two I guess. Steve: It takes a full strategic turn to load the torpedoes. 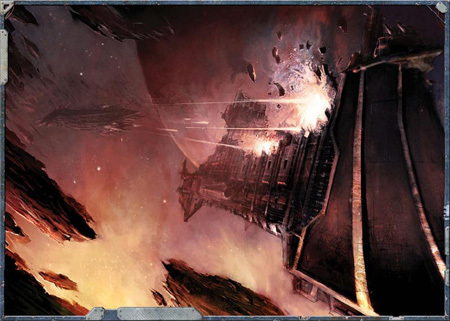 As they are being loaded, two of the three enemy destroyers are able to activate and detach from the station. They both maneuver to face you and accelerate towards your position. Zack: Can they attack my beautiful ship? Steve: It will take a turn for them to reach firing range. About the same time your first salvo of torpedoes hits or misses. Steve: Your crew cheers, eager for the heat of conflict. Steve: You feel the ship shudder as the first salvo of torpedoes streaks out of Enthusiasm’s armored prow. While the crews begin to reload with another salvo, your other weapons begin to come online. Zack: Most of my guns are on the sides of my ship, right? Steve: Yes, other than getting lucky and hitting with all four torpedoes, a broadside is your most damaging attack. Zack: Alright, well with those other ships coming at me I am going to maneuver into a broadside to fire at them when they come into range. Steve: Enthusiasm’s decks shudder again as she picks up speed. The view shifts on the holographic display as your vessel maneuvers for a broadside. The alien ships are presenting a narrow target with their prows towards you and driving straight into the line of fire. In the next turn you will be able to hit them at long range. Zack: What about the torpedoes? Steve: Yeah, let’s do that. I’m going to roll for some crewman you’ve probably met like once who actually fired the torpedoes. Steve: Plasma one hit, two miss, melta one miss, melta two hit. I’m going to let you roll damage and here’s the thing: you roll 2d10+14 for the plasma and 2d10+15 for the melta and if either die is a 10 for the plasma or either die is a 9 or 10 for the melta, it’s a critical. Zack: Yeah, so I rolled a 10 and 6 for the plasma, so that’s critical? Steve: Yep, 30 damage and critical. Roll for the melta and then we can resolve the critical hits. Zack: 5 and 2 for the metal. Steve: Actually for the melta you re-roll d10 rolls below 4 so roll that again. Steve: Two is internal damage. You can pick one component and it is damage as your firs critical hit sends searing plasma roaring through bulkheads. Steve: Actually, I’ll just say you damage the life sustainers. This station’s design is strange and new to you so you couldn’t really pick one out anyway. Zack: What about the 5? Steve: Fire! The station is burning and flames spread through its corridors, threatening the reactors. Steve: The alien destroyers move into range to fire with their lance weapons. Scorching beams of pure radioactive fire launch from their prows, your void shields flickering and failing as the beams score the armor of Enthusiasm. Molten ceramite spools into space and you see warning runes flash as several compartments burst into the void. Those crewmen that aren’t vaporized by the fire are flash-frozen in the void. Steve: Despite the death of dozens of men and women laboring on the gun decks, all of your guns remain online and the damage is actually minimal. One of the beams does not even penetrate your ship’s armor. Steve: Yes, you can do that. 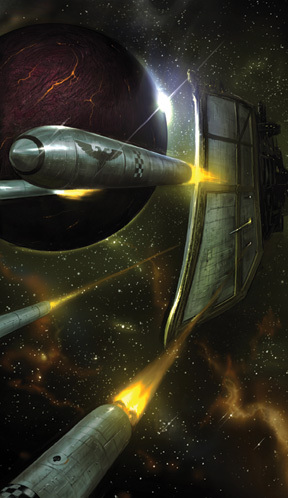 Steve: Almost nothing matches the destructive firepower of a cruiser’s broadside. You feel the macrobatteries firing as space lights up on your starboard side with venting gas and the glowing shells of your guns. In a withering barrage, you land several critical hits. Three on one and two on the other. You also do serious structural damage to one of the destroyers, so even not counting critical hits it is in trouble. Steve: No, roll a full d10. Do the one with two critical first. Steve: You damaged the maneuver thrusters and destroyed that ship’s bridge. It begins to veer off course. Steve: Thrusters again, sensors damaged, and hull breach. Roll a d5. Steve: Three components are knocked out and damaged as the ship drifts out of control. This ship suffered critical integrity damage and so I am going to say the hull breach is enough to cripple it. Steve: The damaged ship struggles to get back on course in its maneuver phase, the other destroyer undocks from the station and starts towards you, and you can maneuver as well. Zack: Can I turn to broadside the damage one again? Steve: I’ll say you can do that and pretty much guarantee you’ll finish it off, but miss a shot on the remaining destroyer, or you can maneuver your full turn and hit them both with a broadside next turn. Steve: You have to reverse thrust and perform a space u-turn. Enthusiasm groans under the strain of such a tight turn, but you maneuver into a position to deliver a brutal close-range broadside that devastates the limping destroyer. As you move past its holed wreck, its reactor goes up with a flash. Steve: The remaining destroyer, however, is burning at full speed towards your port side now and your crew warns you that they seem to be on a collision course. A moment later, your ship is struck by the enemy vessel’s radiation beam and this time you suffer worse damage. More than a hundred dead and one of your guns is offline. Still minor damage for your huge ship, but every wound adds up when you cannot easily repair your vessel. Zack: This is like the pre-ambush. We shouldn’t even be taking damage. Steve: Well, it’s probably about to get worse. You’ve got one shot to disable or cripple this ship or it is going to ram you and cause a lot of damage. Steve: In fact, your speech rallies the men on the por side, sending them into a frenzy of desperate loading and firing. The intense barrage from your port broadside smashes into the alien destroyer and cripples it. With its integrity failing, the desperate alien crew tries to steer it into your engine, but their ship is too badly damaged and misses. Steve: It drifts past you, its engine going dark and the ship beginning to buckle as compartments rupture and crew are vented into the void. Steve: “By your generosity, my lord,” he bows and backs up. Greg, your Adeptus Mechanicus friend, approaches. Steve: “Yes, my lord.” He bows and glides away like he does not even have feet and is just floating. Zack: Do I have a suit of terminator armor? Steve: That’s not really a thing Rogue Traders have. You can have some nice power armor. Zack: Right, this place is going to be a radioactive hell, so everybody I care about needs to be in sealed suits. Zack: Do we have enough time to do this? I don’t want to go over there and have those other alien ships show up. 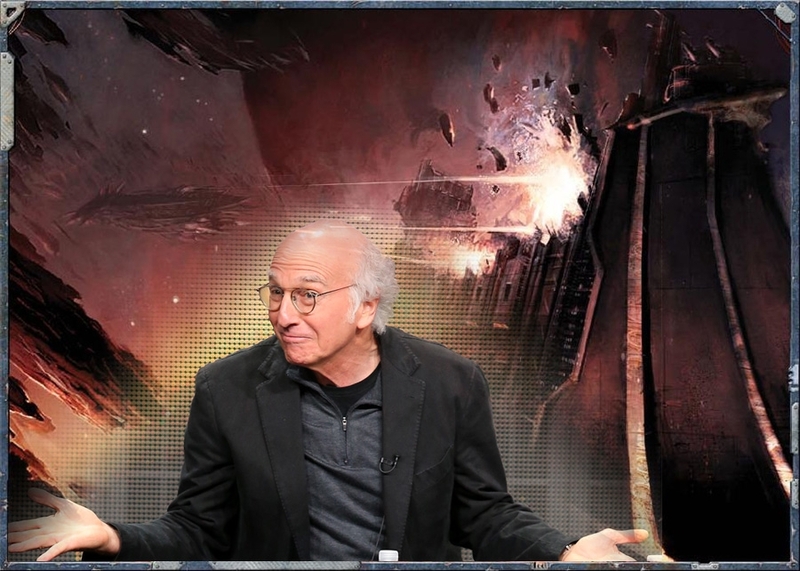 Steve: By your best calculations the Rak’Gol fleet that attacked Stygimatus Station will not arrive in the system for another 12 hours or more. Zack: And we’re not going without like all of Elaine’s soldiers, right? Steve: You can take all 1,000 boarding commandos if you want. The alien ship probably has a crew of 5,000 and more than half of those were killed in your broadside and subsequent fires and decompression. Zack: This is going to be D-Day, Steve. Overwhelming force and reinforcements. I am not ending up in a situation where we are outnumbered over on that ship. 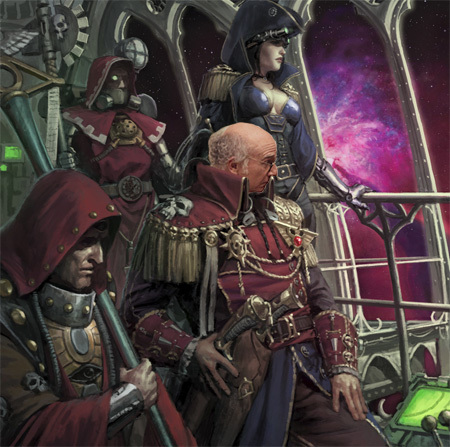 I’m the captain, not some Space Marine. Steve: The boarding operation will commence… NEXT TIME!!! Zack: Aaaaah! You had me all geared up to do it! Steve: Dude this is going to be a bloodbath you have no idea. Zack: As long as I’m the one bathing and not filling the tub. Zack: Thank you to our supporters on Patreon! We love you! Thank you for making this goofy site possible!